This summer, together with my family I was invited to have dinner at a restaurant in, “Cinque Terre”. 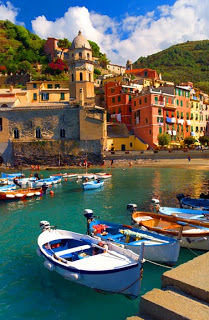 Exactly, in a location named, “Vernazza”. 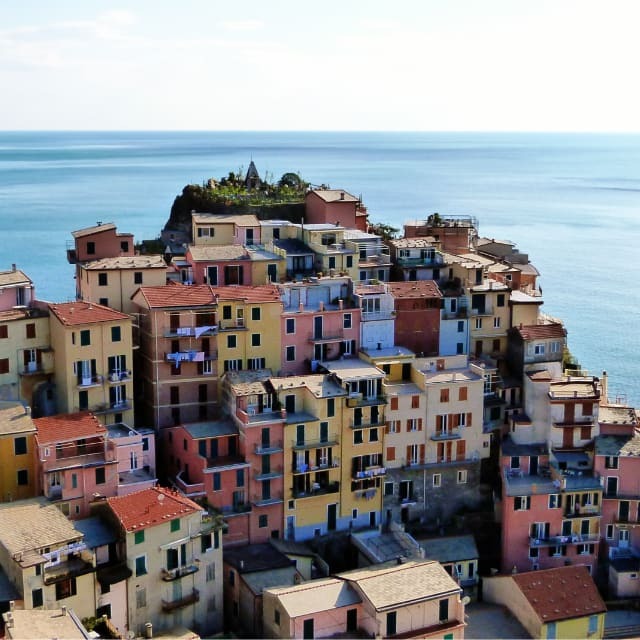 Perhaps, many of you have heard of the Cinque Terre. They are five small fishing villages hidden in small enclosures hanging above the rocks overlooking the sea. The sea and the park that surround them, have been declared by ‘Unesco, “human’s heritage”. 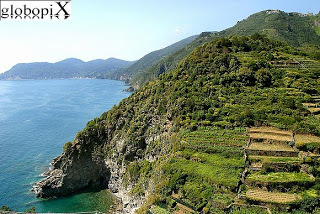 In my opinion, a travel to the Cinque Terre are a must for anyone planning a trip to Italy. But, let’s go on. Here is what I did on my day to Vernazza. When we arrived in the small village of Vernazza by the ferry, the first things that fascinated us were the narrow streets in between the small colored houses, and those same streets which were taking us toward the village’s sea bay. Then, my eyesight came down on lodges, churches, houses shaped like towers, porches, and steep staircases. A real magical view. Afterward, the restaurant was waiting for us. 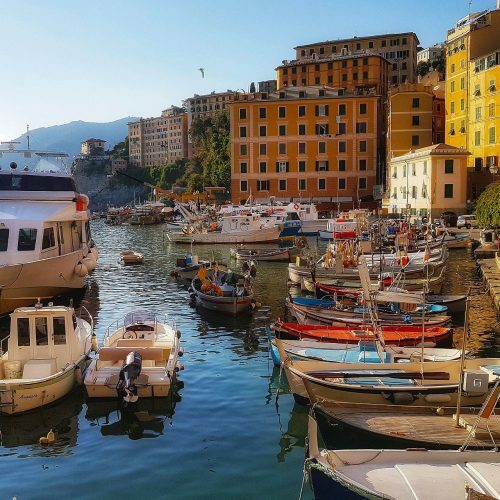 There, fishermen came bringing with them freshly caught fish, and later we discovered simple but tasty dishes like spaghetti with prawns, anchovies of Monterosso, or sea bream with Ligurian olives (olive taggiasche). To finish the main dinner with a, “Sciacchetrà of Cinque Terre” accompanied by dessert, (the Sciacchetrà is a prized sweet wine, produced in small quantities that come precisely from the vines of Cinque Terre). 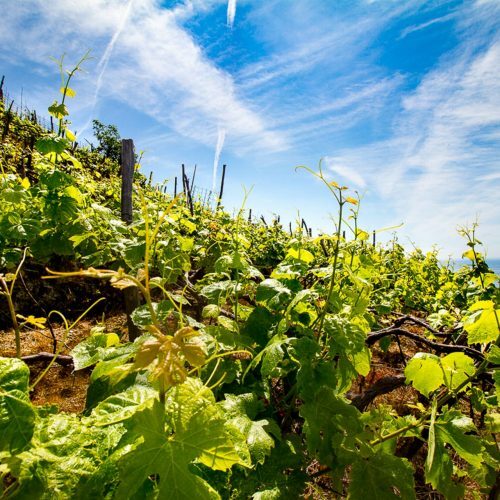 Do you know that Liguria has a good tradition of wines due to its natural location, close to the sea? And that’s why I like to watch them, (the vineyards) every time with admiration, because of them growing in the most unexpected places due to steep slopes. That’s why, they are very difficult to grow in those places, but in return those same vineyards are generously giving back good grapes. This corner of paradise was frequented by writers such as Byron, Shelley, Montale, as well as tourists in search of peace from the surrounding mountains along the fun of the sea. The rocks of many creeks which are bordering the coastal sea, are ideal places for a dip in the warm seawater. In these places, are legendary the swims of the poet Byron from a creek to another. This area, is perfect for those who like to hike alongside the riviera, from where you can enjoy an unforgettable landscape overlooking the blue sea. I hiked these paths so many times. Soon I will tell you more, about the wonderful and unforgettable sceneries that have opened to my eyes. 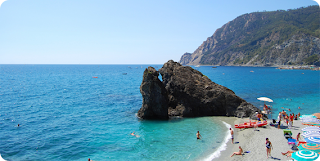 Meanwhile have a look at our suggested top ten trip to Cinque Terre! Previous PostA halloween night in Triora witches village in Italy!